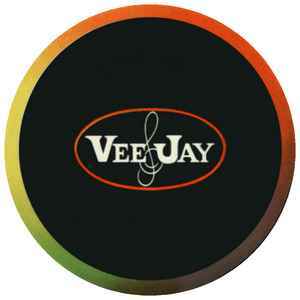 Vee Jay was founded in 1953 in Gary, Indiana, USA by Vivian Carter and James C. Bracken (Mr. & Mrs. Bracken), who used their first initials for the label’s name. The first song they ever recorded made it to the top ten of the US rhythm & blues charts. Within a short time, Vee Jay was the most successful black-owned record company in the U.S.A. It was the first American company to sign The Beatles. In one month alone in early 1964, they sold 2.6 million Beatles singles. Two years later, the company went bankrupt. It reorganized as VJ International in 1967 after company executives Randy Wood and Betty Chiapetta bought the label from its bankruptcy trustee and operated it mainly to liquidate existing stock and lease the Vee-Jay masters to other companies; it released its own records (reissues and previously unreleased material) in 1975 but had trouble finding distributors to carry these albums. In 1990, Chameleon Music Group president Daniel Pritzker formed a limited liability parnership and bought VJ International from Chiapetta and began reissuing Vee-Jay material on CD until Chameleon became inactive in 1995. The company was reactivated in 1998 under the management of Michele Tayler, who cut an agreement with Rhino Records (2) for North American licensing of the catalog.